Elite Hotel is located in Sector 7, Dwarka, Delhi and is a 10 minute walk from the Main road near Palam Colony. 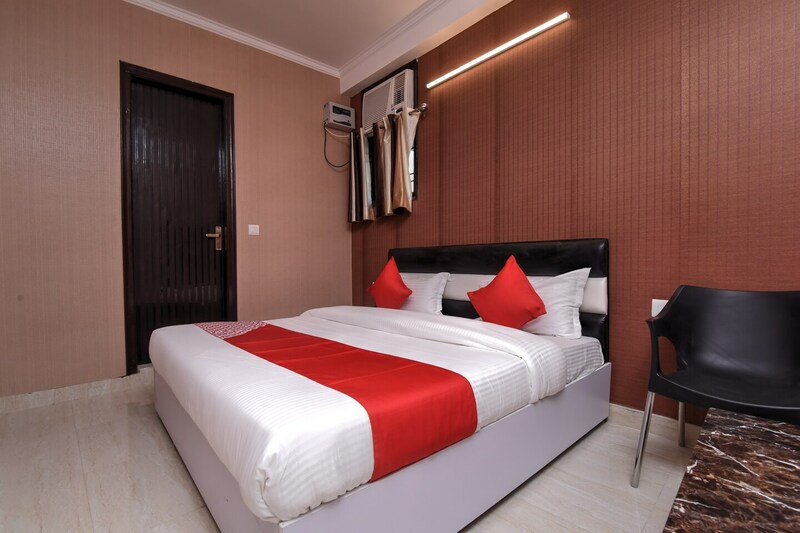 Tourist spots like Qutub Minar, Red Fort, Jama Masjid can be explored easily from here.The hotel offers both twin single bed and king sized beds options. It also has a seating area for guess to meet and chat, and a mini fridge in each room for a chilled drink. All the rooms of this hotel come with a a television, a hair dryer, and an air conditioner. The hotel provides 24*7 Free Wi-Fi and power backup facility. CCTV cameras are installed throughout the hotel to ensure the security of the guests. Food joints like Oven Fry Gril, Gills Kitchen, and Chai Chuski are within the locality.